Microsoft was in bad shape when CEO Steve Ballmer left this year. It was very fiscally healthy, but it had failed twice in two years to release a successful tablet despite billions spent on marketing. 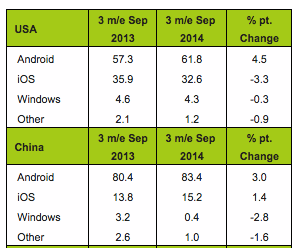 Microsoft’s Windows phones picked up only a fraction of the global smartphone market. Microsoft’s most lucrative products, the Office Suite and Windows, faced steep competition from Google’s own offerings. Over the past decade, Microsoft had become the punchline of every tech industry joke. Sales of PCs were slipping, and Microsoft didn’t have a backup plan for when the PC gave way to the smartphone. In just a few months, Microsoft’s fortune has shifted. After spending billions on research, development, and marketing, Microsoft’s Surface tablets (now in their third iteration) are finally finding a niche. This quarter, Microsoft sold $908 million worth of Surface tablets. It pales in comparison to the $5.6 billion worth of tablets that Apple sold in the same period, but it’s something. That number is more than double their sales over the previous quarter and the quarter from a year earlier. Since Satya Nadella took over, Microsoft has been more willing to take big risks. In just a few months, Microsoft has released several new products targeted at the tech-set community. In June, Microsoft revamped the Surface line, setting them up to compete with light laptops and ultrabooks, rather than tablets. This realignment, along with a serious display upgrade, helped to boost Surface sales. 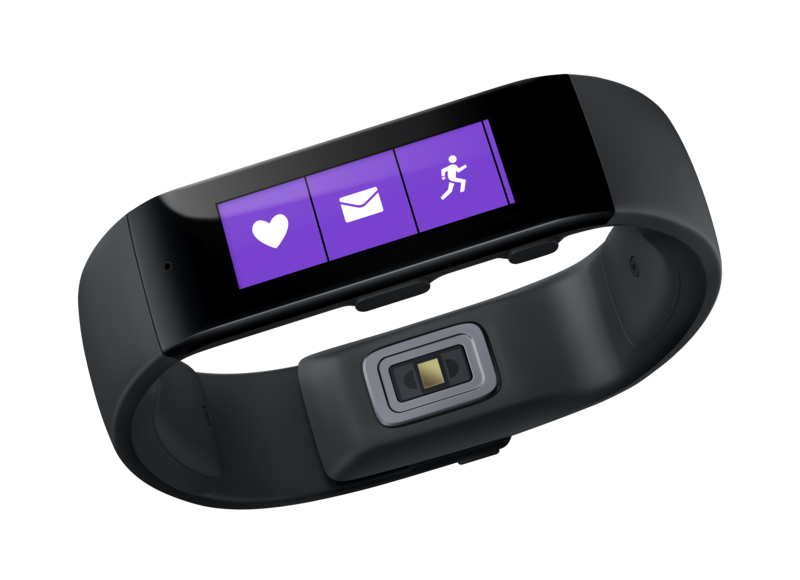 In October, Microsoft launched the Microsoft Band, a cross-platform fitness band with an LCD display and built-in GPS. So far, early reviews are overwhelmingly positive. In April, Microsoft launched a new personal AI assistant for its Windows phones named Cortana, which competes with Google’s Now, and Apple’s Siri. In fact, under Nadella’s leadership Microsoft has been embracing the cross-platform approach. Early in his tenure, Microsoft finally released Microsoft Office for iPad and OneNote for Mac, two apps that Ballmer resisted releasing. Microsoft says that it is also working on a (long overdue) brand new version of Office for Mac that will fully take advantage of their Office 365 subscription service. 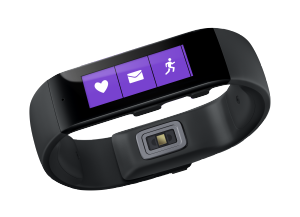 Microsoft has also made an effort to acquire some new products to complement those built in-house. In April, Microsoft finalized the $7.2 billion acquisition of smartphone-maker Nokia. In September, Microsoft acquired Mojang, the development studio behind the uber-popular Minecraft game, for $2.5 billion. Despite cutting 18,000 jobs, employees have reported a positive cultural shift. Just the feeling of a new CEO, and a new mission has reinvigorated the company. Upper management has been far less combative and insular, according to reports. I know for a fact that Nadella even emails back and forth with interns on occasion. That positivity has carried over to Wall Street, where Microsoft stock is up nearly 50% since he took over. Microsoft, at Nadella’s urging, has also made some progress in its strong enterprise business and in growing the Windows operating system. They’ve developed and iterated on their Azure cloud computing system, and put themselves in contention with companies like Google and Amazon. Nadella made the bold move to offer Windows 10, and Windows phone for free on devices smaller than 9 inches, and in the process, brought in over 50 new manufacturers. It hasn’t been all good news for Microsoft. Amidst the massive success of Apple’s iPhone 6 and 6 Plus, Windows Phone’s US market share fell to a puny 4.3% this month. Microsoft has been widely mocked for its odd decision to skip Windows 9 in favor of Windows 10. More seriously, many of Windows 10’s top features were simply fixes to issues that arose in Microsoft’s hopelessly bifurcated Windows 8 OS. The Xbox One Console, which was supposed to be a top seller for Microsoft, has lagged behind Sony’s PS4 significantly, forcing multiple price cuts. Even Microsoft’s branding and advertising has improved, thanks in part to a reshuffling of top leadership by Nadella. Steve Ballmer hired Mark Penn, a top political consultant, to revamp Microsoft’s advertising, and unsurprisingly Penn turned to mud-slinging tactics, namely the cringe-worthy “Scroogled” campaign. Nadella removed him from that position, and obviously put someone more suited to the role into that post. Is this really all because of Nadella? No. Nadella’s entrance, and Ballmer’s departure has made a big difference, but it’s not the entire cause of the turnaround. Just the perception of a change in leadership has brought in new investors, customers, and employees. Many of the products that Ballmer approved for development towards the end of his career will be key to Microsoft’s current and future success ( with Windows Band, Windows 10, etc). The rest of the new management team, as well as the return of Bill Gates have probably helped as well. Microsoft has a long way to go in adapting to mobile and the smart home, and bringing their company into the 21st century. It’s nice to see that a great American company is on the path to recovery. My apologies for any spelling or grammar errors that may be present in this piece. I had oral surgery two hours ago, so my proof-reading sense is not as attuned as usual.